We’ve created unique groups around similar types of business so that you can get the benefit of support without paying for it all on your own. Members love how this gives them the most support around GDPR, This isn’t about giving you a template and leaving you to get on with it! Current group prices vary depending on the industry with many starting from £60 + VAT for one years group access. Prices increase on a regular basis, so the best time to buy is right now! Our GDPR Policy Pack is designed to work alongside the GDPR Support Groups. Join your industry GDPR Support Group and discover on how this works with consent, when you need it and information on when you don’t. 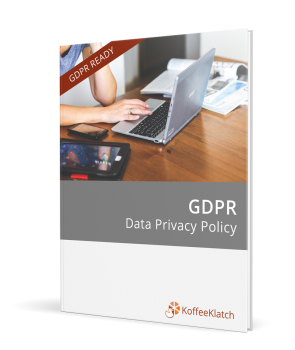 You’ll find that doing your data retention work and your “cookies” work is so much easier with this additional GDPR Policy pack! Would you like to be confident about how to handle GPDR? Unless you like reading government policy documents or sitting in on long webinars which never get to the point, you are probably already confused about what you need to do and how you need to handle it. Access to other experts to help you including Jason Cobine (business insurance), Sarah Arrow (marketing), Christopher Head (legal supremo), Shelley Fishel I.T Training Expert, and many others! Regular email updates to ensure you don’t miss a thing! So how much is a data protection fine? You will see people talking about 20 million Euro fines. We are not in the business of scaring you. The scale of fines relates to the size of organisation, the scale and severity of the breach and what type of information was compromised. It is unlikely the average business is going to be fined a million euros! Even so the level of fines is increasing to a potential 4% of turnover. How much is that for you? Many service sector businesses have mostly stayed out the firing line up to now, as it has been the ‘data controller’ who is liable for breaches. Your corporate client was responsible for securing the data they shared with you. But from May 2018, the ‘data processor’ is also liable. This will affect many businesses. You will need to update how you handle your own data and data that comes from clients you support. You don’t want to lose money in fines. And you may find your customers are not keen to trust you with their data if you have a track record of mishandling it. Join a dedicated group today and receive the information you need to know.